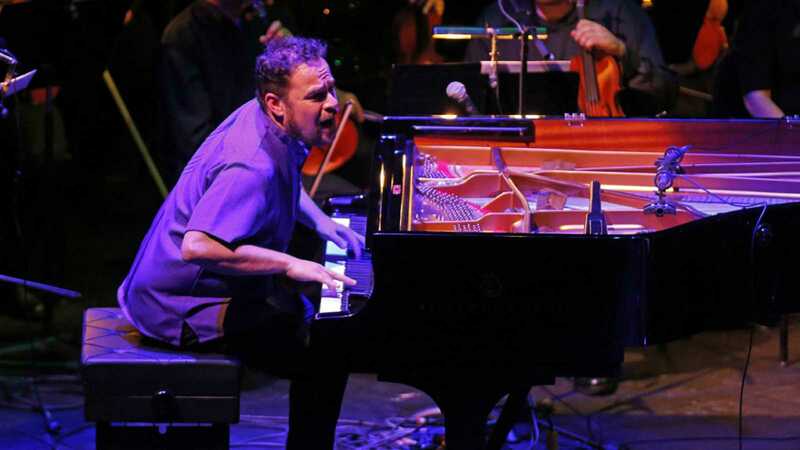 We welcome to Spanish jazz pianist and composer Abe Rábade to the program to talk about his new album, "Doravante," and about how he came to love and live for jazz. Abe Rábade, who hails from the northwestern Spanish region of Galicia, visited our studios while he was in the Spanish capital with the other members of his trio--Pablo Martín Caminero on double bass and Bruno Pedroso on drums--to present the new album at a concert at Madrid's Círculo de Bellas Artes, the venerable cultural club dedicated to the fine and performing arts and situated at the heart of the city. For more information on the background, recordings and projects of this dynamic musician from Santiago de Compostela who performs around the world, visit his website at: www.aberabade.com . ver más sobre "English Language Broadcast - The jazz of Abe Rábade - 24/01/19" ver menos sobre "English Language Broadcast - The jazz of Abe Rábade - 24/01/19"